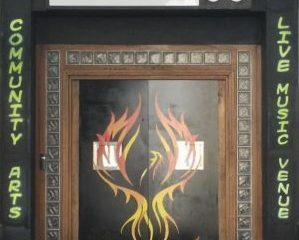 The Fiery Bird is a community arts and live music venue in the heart of Woking. A live music venue and Community focused arts and cultural centre for all to participate in and enjoy. Opened in May 2018, run by the Phoenix Cultural Centre CIC, the venue hosts live music gigs, workshops, mentoring, training, arts events, as well as many other projects and events to benefit the community. We are raising essential funds to support this project. All eventual profits from The Fiery Bird centre will be ploughed back in to ensure the community continues to be able to access a safe and creative space for everyone, of all ages, somewhere they feel they belong and is theirs. However, we need to start somewhere and need any financial support to help ensure we can create this inclusive vision. Your donation or purchase of a reward will be truly invaluable to support this project. Thank you for taking the time to read this, and for any support you may be able to offer. Untitled from Phoenix Cultural Centre CIC on Vimeo. Crowd Fund Update 30/01/17 from Phoenix Cultural Centre CIC on Vimeo. Fiery Bird Tour – Quake Part 1 from Phoenix Cultural Centre CIC on Vimeo. Tour of Quake Part 2 from Phoenix Cultural Centre CIC on Vimeo.